MaduraiStartups is a non-profit, global community that focuses on generating and nurturing the next generation of entrepreneurs. They believe in the power of ideas to change the face of entrepreneurship and growing technology & business through our five pillars; mentoring, networking, education, incubating and funding. Quarterly once they conduct event and its open for all techies & startups. 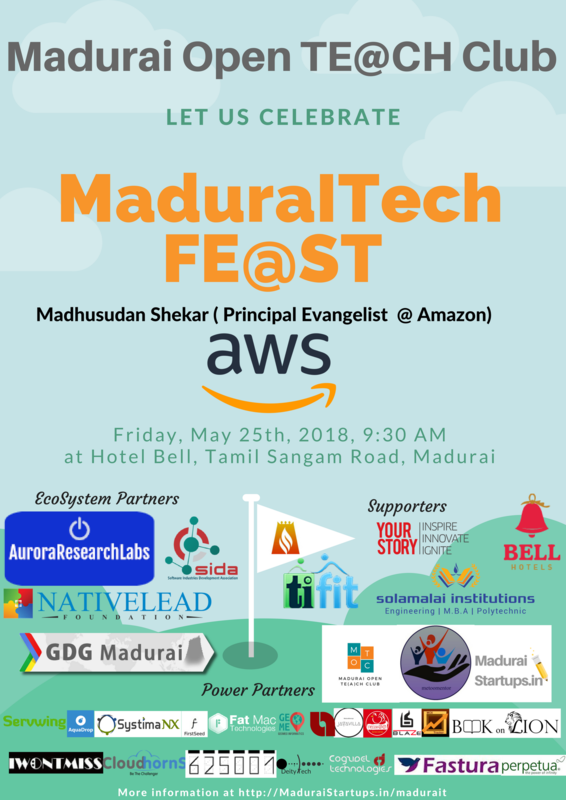 This time, for MaduraITechDay2018, Amazon TEAM is coming to Madurai with its AWSum benefits.